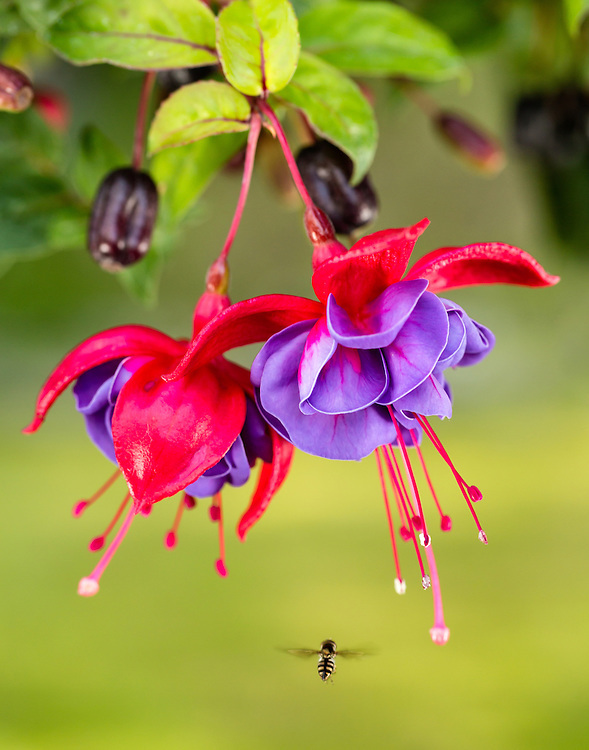 Closeup of Fuchsia and insect in garden in Eagle River in Southcentral Alaska. Summer. Evening.